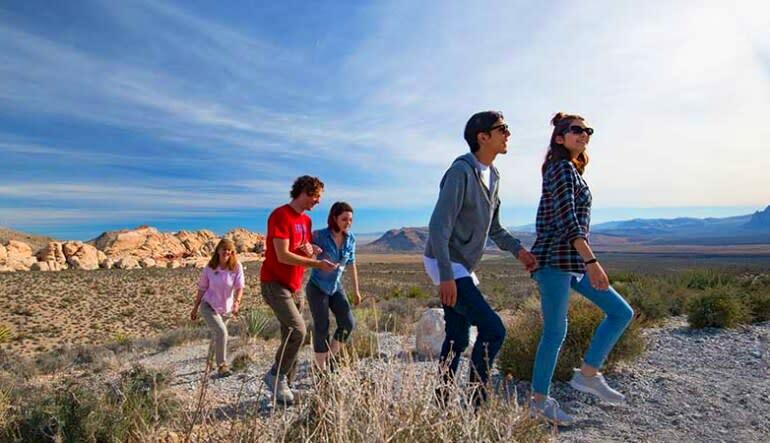 See the natural side of Vegas on an incredible Red Rock Canyon tour. 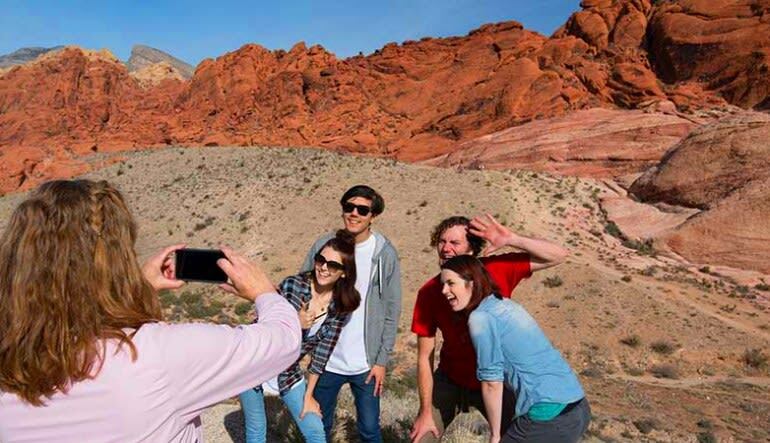 Enjoy a short drive to the canyon, learning from your expert tour guide along the way. 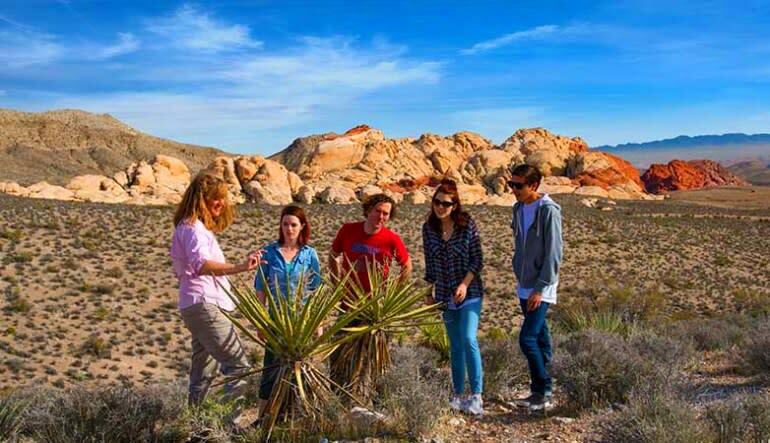 See the natural side of Vegas on an incredible Red Rock Canyon tour. Enjoy a short drive to the canyon, learning from your expert tour guide along the way. 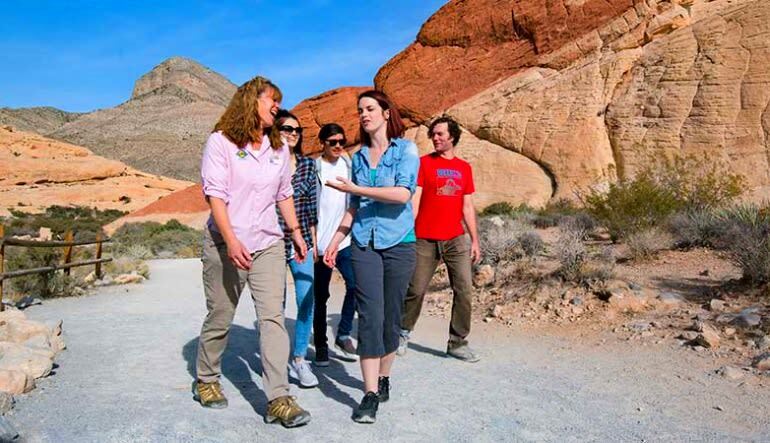 This Jeep Tour to the Red Rock Canyon promises small groups for a more personal experience. 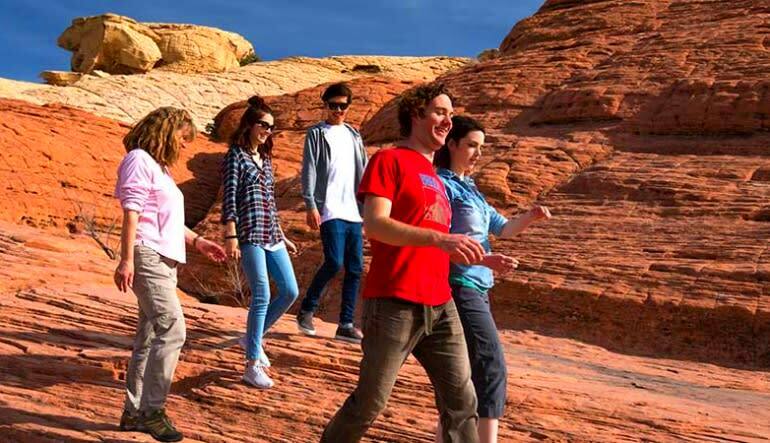 The Red Rock National Park showcases a set of large red rock formations, sandstone peaks and the famous Wilson Cliffs—3,000 ft sandstone walls that are as beautiful as they are huge. Get stunning, panoramic views of all this and the surrounding Spring Mountain range and Calico Hills. 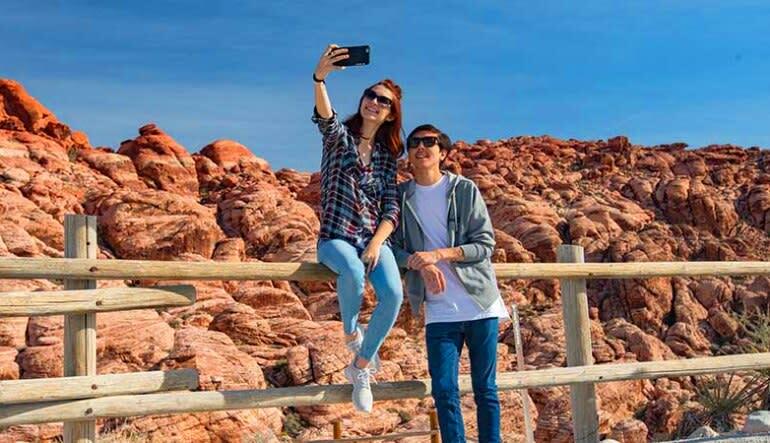 To wrap up your trip, visit Red Rock Overlook for a photo-worthy look at the water colored landscape around you.